Coconut Chutney is popular south Indian Cuisine recipe. Coconut Chutney is perfect dip or side dish which makes great accompaniment with any south Indian snack or south Indian meal like Idli, Dosa, Uttapam, etc. It is served in breakfast and at lunch and dinner times as well. It is made from name itself coconut, chana dal, and very little oil. It is very easy to make at home. There are so many variations in south Indian Coconut chutney. 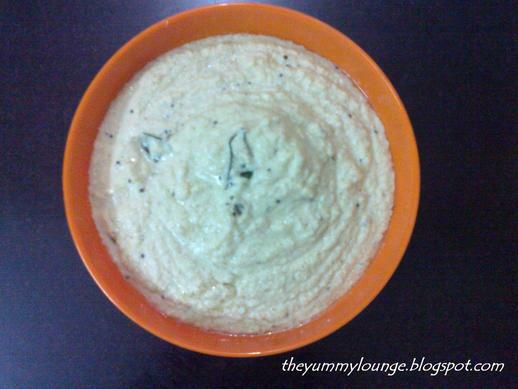 Here is hotel style coconut chutney for Idli, Dosa, Uttapam. 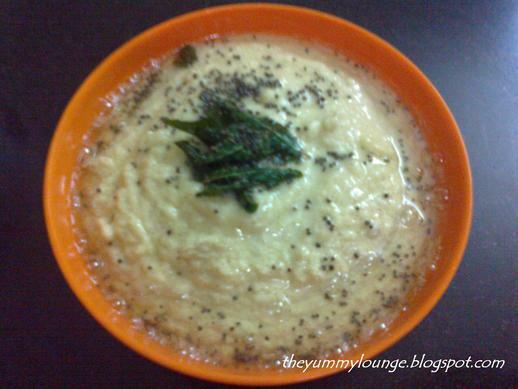 Learn how to make quick and easy hotel style South Indian Coconut Chutney recipe. Here is step by step process of hotel style South Indian Coconut Chutney recipe. 1. Heat 1 tbs oil in pan. 2. Add chana dal and saute. 3. Add green chili and saute till chana dal change color. 4. Add ½ glass of water and soak for 2 hours. 9. Heat 1 tbs oil in a pan. 10. Add mustard seed, when it sputtering, add curry leaves, add this tempering into chutney. 11. Delicious COCONUT CHUTNEY is ready to serve. 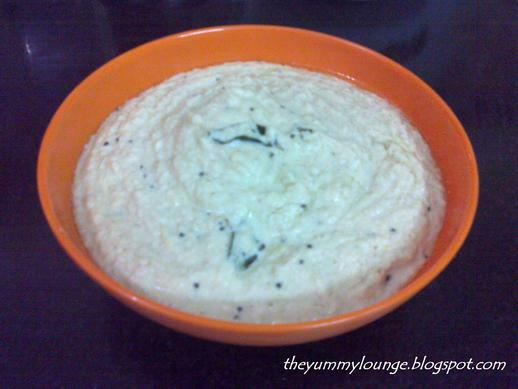 You can serve this coconut chutney with Idli, Vada, Dosa, Uttapam etc. It can be served cold as well. Simple and so yummy. 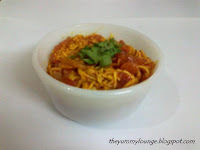 I love this dip with Dosa, idli, Upma and sometimes with chapati. Wonderful post dear . favorite chutney of all time. I can't have dosas without chutney :)I like the addition of channa dal. Wow its my all time favorite south indian chutney..Love to have this with idli and dosa..Yummy ! !